I lived in Tokyo for 5 years, so Japanese places in Melbourne get me excited and nostalgic. I've devised a flexible Japan in a Day trip that can be adapted to public transport or car travel. This day trip would be great for anyone who would like to get an initial taste of Japan or for Japan-philes looking for a mini-fix. Just think, Japan without the flights, money changing, language difficulties or early morning commuter crushes. First up is a morning of shopping. Depending on whether you are driving or on public transport, choose a selection of these stores for a browse or a spend up. Even for those who do not appreciate retail therapy, these shops provide some insights into Japanese popular culture, art and everyday life. Japan does a great version of $2 or bargain shops – 100 yen stores. The beauty of 100 yen stores is that they have aisles of practical, quirky and cute products, all at $2.80 each. My favourite 100 yen store to get lost in is Daiso in Victoria Street, Abbotsford. You'll find cosmetics, homeware, stationary, snacks and more. I love the bath salts, origami paper, tea cups and all the containers. 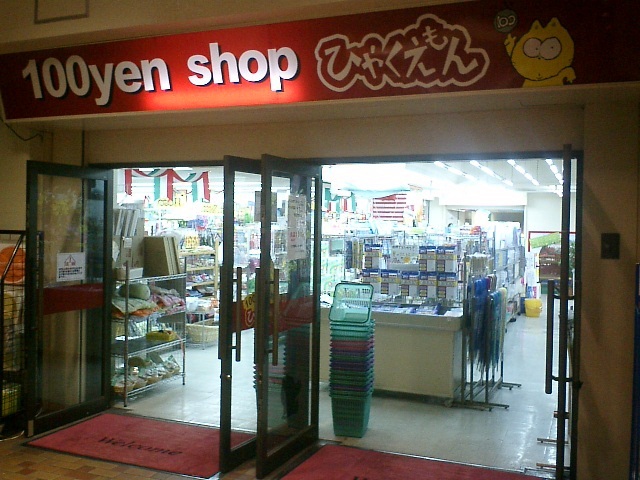 More centrally located is my second favourite 100 yen store is Tokuya, located in a basement hop right near Target on Bourke Street. This shop is smaller, but is still great to look in. Both Daiso and Tokuya are active on Facebook. 'Like' them to find out about their new and seasonal products. I've heard that sometimes the shelves can look a bit empty (between shipments) but I haven't experienced this. Made in Japan, in Coventry Street, South Melbourne, is a great place for browsing and buying a little something for your home. Beautiful Japanese crockery, textiles and eclectic furniture are found here. Suzaran is a Japanese grocery and sushi bar located at 1025-1027 Burke Road, Camberwell. It is the place to stock up on Japanese ingredients for your culinary adventures at home. We are lucky that many supermarkets have a Japanese food section now, but Suzaran has items less commonly available. I make a special trip here for soy and sesame salad dressing and tofu – yum. A quick Japanese bite to eat for lunch is happily an easy thing to find in Melbourne. If you visited the Suzaran grocery store, enjoy their sushi bar. If you went to Made in Japan, walk around the corner to the South Melbourne Market. On Cecil Street, between Coventry and York Streets, you'll find a casual hole in the wall for a quick (and budget!) bite to eat. The okonomiyaki and gyoza are recommended. The afternoon is all about relaxing Japanese-style at a hot spring or public bath. Depending on your transportation, time and comfort with bathing naked, you have two good alternatives. 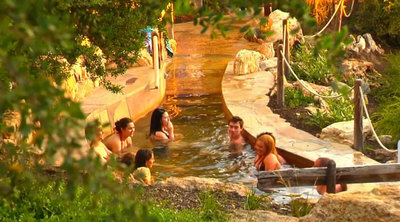 The Peninsular Hot Springs, located in Rye, is a 90 minute drive away. The resort has a variety of indoor and outdoor baths to help you cleanse and relax. The resort is $30 for adults, although early morning and late night bathers enjoy a discount. Bathing attire is required here. More centrally located is the Japanese Bathhouse in Collingwood. Also priced at $30, bathers here will experience the true ritual of Japanese communal bathing; that is, without bathers. Male and female baths are separate. For a fun, quick bite try J Cafe in Exhibition Street. The buns are made of sushi rice, plus you can have gyoza, noodles and sushi. In Losdale Street, Izakaya Chuji feels authentic - it is one of the oldest izakayas in Melbourne. Try it for the atmosphere - I have had better food in other places. If you are ready for more, it is time for karaoke. 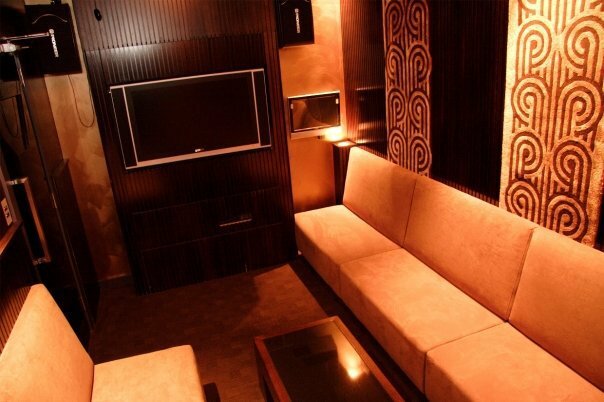 Karaoke is not for everyone, but if you are game, get a group together and try Chi Lounge in Little Bourke Street. I think Chi Lounge is a good deal too- there's a minimum spend of $25 / person for the room hire between 6 - 10 pm, plus a $20 room fee. For less than $35, I got a bottle of wine and 4 hours of entertainment - not a bad deal for a Saturday night out in the city. The rooms are comfortable and there's a great range of songs. Last up, why not wander down Swanston Street, between Lonsdale and Bourke Streets, to get some purikura photos taken? Purikura, or print club, photos are modern booth photos, which allow you to add clipart and writing to you photos before they are printed out. Surely this is a very apt way to remember and wrap up your mini- Japanese adventure. fantastic weekend notes i would love to go to japan for a visit and take my family cause my daughter speaks japanese from school. An article after my own heart - fantastic!! Another place if you are in Prahran is just next to Aldi (Elizabeth St, off Chapel near the market) is Fuji Mart - a well-stocked Japanese supermarket. Also OnsenMa in the city has just opened up in Meyer Place which I am yet to try but dying to! Sorry, an explanatory note for my post: Onsen Ma is bathhouse - I got a little too excited and forgot to mention that!